Even though HTC isn’t set to unveil its latest flagship smartphone until tomorrow, new images of the device have hit the web. Dutch site GSM Helpdesk posted two photos of the HTC 10, giving us a good look at the front and back of the upcoming smartphone. “The image is of a HTC website listing and therefore, should be considered to be fairly accurate, pending any immediate changes,” claims the report. 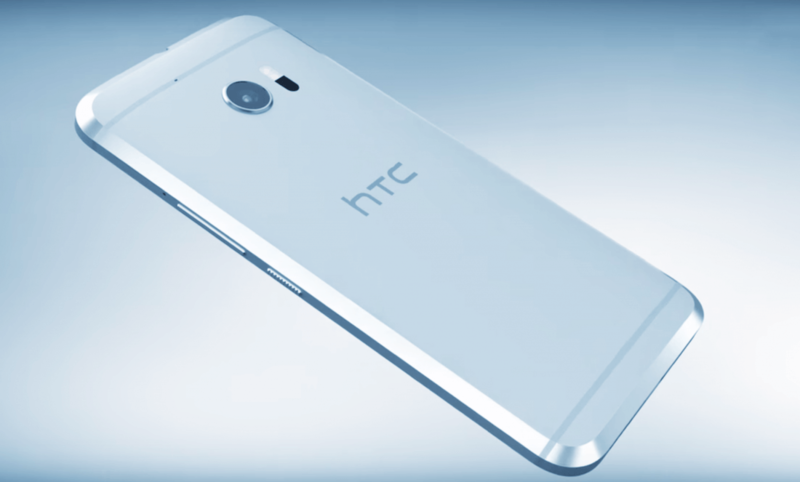 The HTC 10, which is dropping the ‘One’ part of the name that's used in the company’s previous devices, bears a striking resemblance to last year’s HTC One A9 - apart from the addition of oversized beveled edges and the lack of front-facing dual speakers and logo. Despite the lack of visible speakers, the company says that the HTC 10 will still feature stereo audio. An earlier teaser for the smartphone suggests that a speaker built into the earpiece at the top will work in conjunction with the bottom speaker to provide the BoomSound setup. The website claims that the HTC 10 will be available “worldwide” in mid-May. A pre-order listing for the device shows Verizon and Sprint absent from the list of supported carriers, suggesting there will be no CDMA compatibility, but this could change when the listing is updated, according to Android Headlines. The phone's rumored specifications are said to include a Snapdragon 820 SoC, 4GB of RAM, fingerprint scanner, QHD resolution, 32GB or 64GB of storage, microSD slot, a USB type-C connector, and a 5.2-inch display. HTC 10’s camera and battery life will reportedly be the device’s standout features. It’s rumored to use a 12-megapixel UltraPixel 2 sensor, laser autofocus and an optically stabilized f/1.8 lens for the rear snapper, along with a 5-megapixel front camera that also features OIS. Additionally, the phone is said to come with a huge 3000mAh battery. You can watch HTC's launch event tomorrow at 8 AM Eastern Daylight Time on HTC.com.